HANDS up if you know what FOFA stands for. Okay, well, I can’t see any hands. That’s probably because most people don’t know or don’t care what FOFA is, and because newspapers don’t have eyeballs to see readers’ hands. To fill you in, FOFA stands for the “Future of Financial Advice” laws that were the sideshow to the circus of this month’s Clive Palmer-Jacqui Lambie bust-up that rattled Canberra and reshaped our parliament. In a nutshell, here’s the FOFA rundown: Labor introduced some tougher financial planning laws a couple of years ago, but then the Coalition government wound some of them back, but then a bunch of Senators (including Senator Lambie) said “no way” and blocked that, but then last week some more political wheeling and dealing allowed some the Coalition’s changes. And there’s probably more wheeling and dealing to come. If you’re not with me, don’t worry. You don’t have to be. All you need to know is that the rules around financial advice are getting fairer, albeit in a convoluted and confusing political football kind-of way. Less than one third of Aussies use a financial planner, but I reckon that proportion will grow in the decades ahead as we build bigger nest eggs boosted by compulsory superannuation payments that our parents and grandparents didn’t get. Financial planners have copped a lot of flak in recent years, especially at the big end of town with industry giants such as the Commonwealth Bank and Macquarie offering compensation to victims of their poor advice. 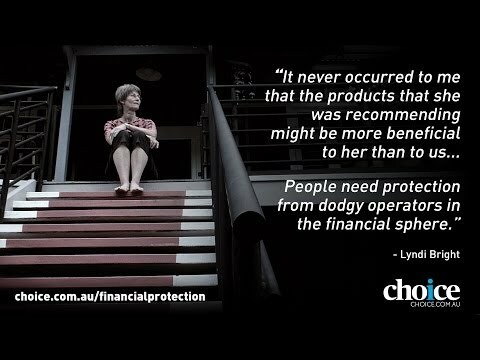 Some bad apples in the advice industry put a black cloud over the majority of good ones, and have given consumer groups plenty of ammunition in their attacks against planners. Billions of dollars of life savings have been lost in many corporate collapses, often on the advice of planners who were chasing big commissions for recommending certain products. Commissions still exist for older financial products and client agreements struck before July 2013, but are gradually disappearing from an industry that is moving towards a fee-for-service model, like accountants and other professionals. Don’t be scared off by the horror stories. 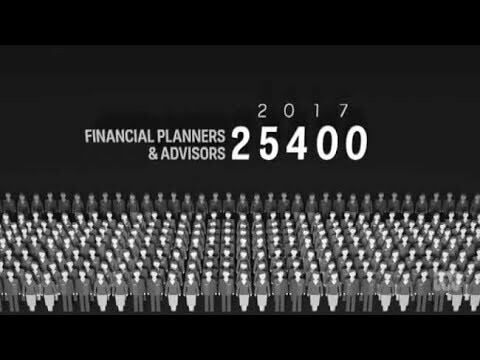 There’s a strong chance you’ll need to speak to a financial planner at some time, and a good chance they will help you. Good advice should deliver you more dollars than the cost you pay for it. This is especially true for people nearing retirement who can save thousands of dollars through special tax strategies and tweaking their investments to take advantage of pension rules. An initial meeting with an adviser should be free, and they should be able to outline what value — if any — they can deliver you. If you have any old financial products such as super funds or life insurance policies, check your latest statement to see what you are paying. There’s a fair chance that you’re throwing money down the train through ridiculously high management fees or entry fees that used to be the norm. It doesn’t matter what you know about FOFA or don’t know about FOFA. Just know that the financial advice industry is changing, and for the better.